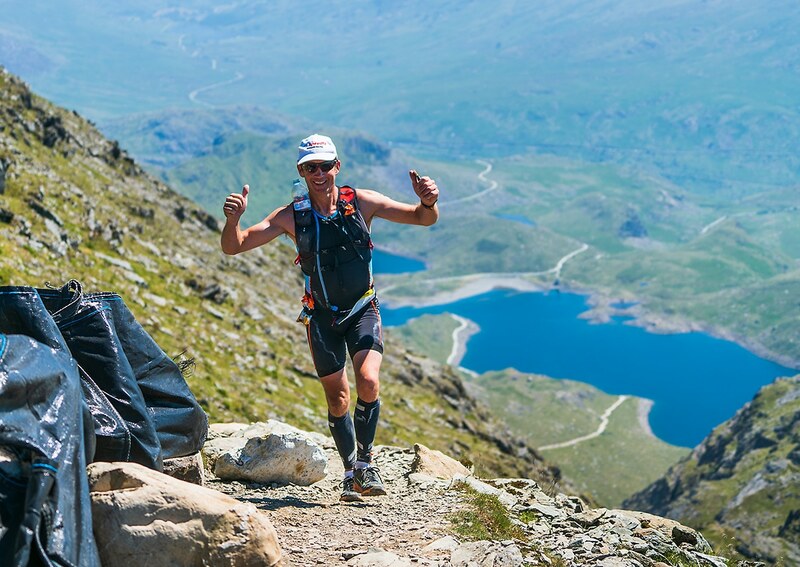 A demanding 114km race, The ROC is rich in challenges & crammed full of inspiring terrain. Taking you from Abersoch beach to the summit of Snowdon & back, The ROC showcases the best triathlon arena Wales and its breathtaking landscape has to offer. As part of the Robinsons Abersoch Triathlon The ROC starts on the golden sands of Abersoch beach with a 1.25km sea swim in the villages idyllic bay before heading off on a 49.5km fast and progressively undulating bike route into the Snowdon Massif. The race then heads on foot via the toughest route up Wales’ highest mountain along The Watkin Path, 6km of 3,085ft formidable ascent to the summit where you can absorb those exceptional panoramic views before heading 6km back down, 49.5km return cycle, culminating with a 1km run along Abersoch beach before crossing the finish line. A truly irresistible mix of tough racing, inspiring terrain & memorable rewards and a well-deserved after-race party to celebrate what you’ve achieved! A unique opportunity to focus your physical & mental strengths by indulging your competitive impulses in this inspiring new race. From the start line on Abersoch’s stunning beach you can see Snowdon’s imposing summit and for those ambitious adventure driven individuals who have yearned for the chance to race from the country’s most revered beach to the top of the country’s highest most famous mountain & back, this challenge is for you. Taking place on Saturday 27th April 2019, starting at 8:00am on Abersoch Beach.